Lee “Scratch” Perry is seeking a giant inflatable gorilla to accompany him on stage for the Dub Champions Festival. Read on to find out about this Kickstarter project launched to support Perry’s “Super Ape” performance on this year’s Dub Champions tour. As a pioneer of dub music and a global legend in production techniques, Lee “Scratch” Perry is no ordinary musician. So it should come as no surprise that his live shows are also unique experiences that sometimes require a little extra work to complete the fusion of sound and vision. 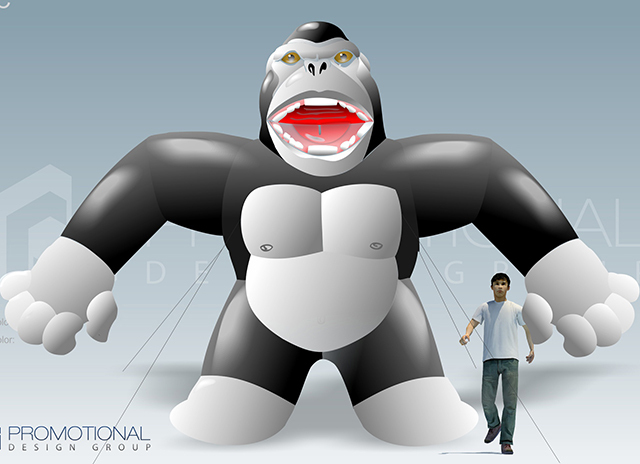 An example of such needs is today’s announcement from Dub Champions Festival organizers to launch a Kickstarter project in support of a giant inflatable gorilla to accompany Perry on stage during the performance of Perry’s “Super Ape” album. 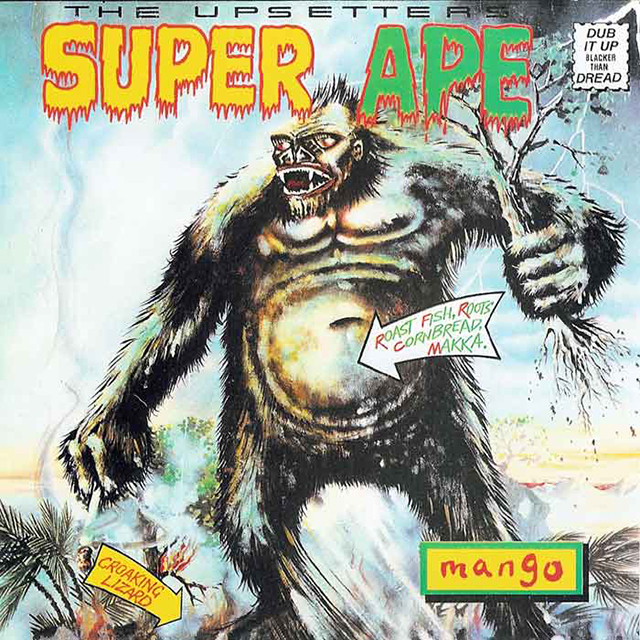 To commemorate the 40th anniversary of Lee “Scratch” Perry’s “Super Ape”, one of the crowning achievements of dub and reggae produced at his famed Black Ark studio in Jamaica, Scratch who just turned 79 in April will be performing the album for the first time ever live at Dub Champions Festival events across the USA this September and October. The tour begins September 1st in Southern California. The fun kicks off at LA’s Dub Club the following night before stomping up the coast and through the Midwest eventually ending October 1 at Brooklyn Bowl in NYC where Dub Champions Festival was founded five years ago. Please check out the Kickstarter video for more information. The Kickstarter campaign is organized by Emch, founder of Dub Champions Festival and band leader of Subatomic Sound System, with the support of Lee Perry. Subatomic Sound System have been supporting Scratch in the USA for the past five years. During that time, Subatomic has refined a combination of electronic elements and live instruments to represent Scratch’s Black Ark studio sound in a live environment. Word on the streets is that these are some of the best Scratch has ever done. These festivals will also be part of the tour. “I’m an artist, a musician, a magician, a writer, a singer; I’m everything. My name is Lee from the African jungle, originally from West Africa. I’m a man from somewhere else, but my origin is from Africa, straight to Jamaica through reincarnation; reborn in Jamaica…” Lee “Scratch” Perry (born Rainford Hugh Perry, on March 20, 1936, in Kendal, Jamaica) is a Grammy winning artist known as crucial inventor of both reggae and dub. Arguably the first creatively driven, artist-producer in modern recorded music, Lee “Scratch” Perry occupies the highest level of music making – standing comfortably next to pioneers like George Martin, Phil Spector, and Brian Wilson. Credited by many for mentoring the development of Bob Marley, producing and writing many of his classic tunes like “Kaya” and “Sun is Shining”, Scratch would go on to work with nearly every artist in Jamaica and beyond, moving from reggae into dub with the construction of his own independent studio The Black Ark in 1973. He would go on to work with artists ranging from Paul McCartney to The Clash to the Beastie Boys to the Orb, influencing music across genres from punk to rap to electronic music. In 2004, Rolling Stone Magazine ranked Perry 100 on their list of the 100 Greatest Artists of All Time. In 2009 he released his first dubstep tracks in conjunction with Vienna’s Dubblestandart & New York City’s Subatomic Sound System which led to a new generation of fans discovering the roots of dub and eventually a new touring band that combined live musicians and electronics for a future minded recreation of the Black Ark vibes live on stage. Subatomic Sound presents the 5th annual Dub Champions Festival, a journey into the international musical phenomenon called “dub”. Characterized by heavy bass, drums, and the copious use of effects, producers become the artists and the mixing board becomes an instrument with this Jamaican art form. The festival features both performances & educational workshops to exhibit how the music is created and has evolved from its 1970s, reggae roots to become a cornerstone of electronic bass music. Dub has also inspired countless genres from rap to rock to punk to dance music, and in the process has redefined the role of producer as artist. Dub Champions Festival was founded in New York City by Emch of Subatomic Sound System, and is dedicated to featuring the world’s greatest dub pioneers from Jamaica and every continent worldwide. The festival is produced in cooperation with local regional promoters and Dubspot electronic music school and SubPac tactile bass equipment. The festival happens annually in different regions: September & October in the Eastern USA in New York City and across the northeast; September in Western USA in Los Angeles, San Francisco, Portland, and more; and February in Europe in Vienna, Amsterdam, Linz with more cities to come. Emch is Perry’s bandleader, supporting for the past 5 years with his group Subatomic Sound System, and founder of Dub Champions Festival. He is also a Dubspot instructor teaching production with Ableton Live, Music Foundations, and DJing. NYC’s Subatomic Sound System is a tightrope between the reggae roots of dub and the future of bass music. Subatomic Sound System performs as either a DJ, live electronic act, or complete band and is spearheaded by Emch, founder of Dub Champions Festival and the Subatomic Sound label, producer, DJ, musician, Brooklyn Radio host, label manager for Kingston-based People’s Records JA, Dubspot music instructor, and promoter. After collaborating with Dubblestandart in 2008 to produce Lee ‘Scratch’ Perry’s first dubstep tracks, numerous projects followed and Subatomic Sound System, with a unique blend of live instruments and electronics, has become Scratch’s go-to band for reinventing the Black Ark vibes on recent tours, including his 2013 Coachella & RBMA appearances. Subatomic Sound System has released a string of chart topping productions, remixes, and releases include collaborations with icons like Lee ‘Scratch’ Perry, Elephant Man, filmmaker David Lynch, Anthony B, and Ari Up, as well as next-generation pioneers like Jahdan Blakkamoore, Stereotyp, Frikstailers, Dub Gabriel, and many more.